Since 1960 Spain has been catapulted into the twentieth century. A tremendous building boom has given the country a new face, industry and business have expanded at a rapid rate, there is a new network of highways linking the major cities and bringing countless smaller communities into the orbit of the national life, medical care for the masses has taken a great leap forward, and income has risen to the highest point in the nation’s history. This material progress is Franco’s one solid achievement. 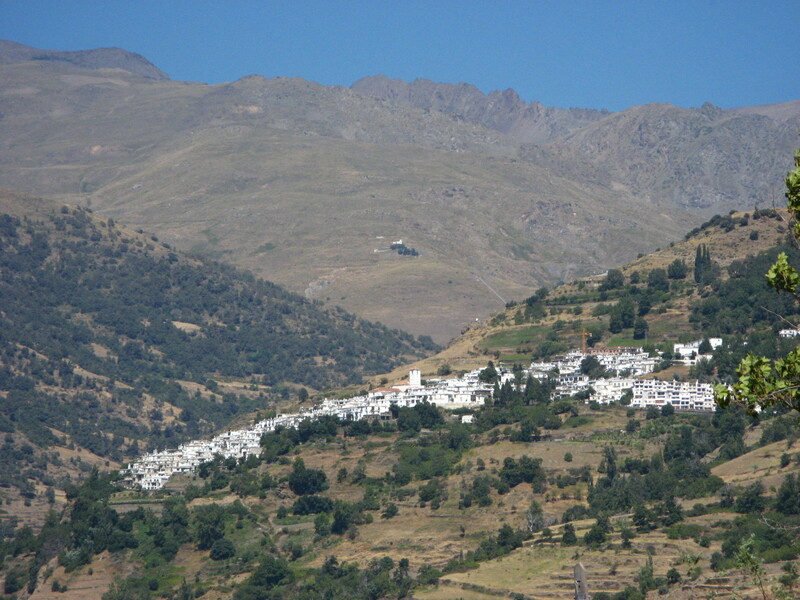 Only a few years ago hundred of Spanish villages were isolated without roads, power, or water. Large-scale industry did not exist. Labor was largely unskilled and productivity per man-hour was incredibly low. Exploitation by employers, low salaries, no accident protection, abuse of child labor, and the apprentice system of training were the rule. There was a huge rural class dependent on agriculture with almost no benefits or protection against unemployment, illness, or old age. Maids in the south worked twelve to fourteen hours a day in exchange for meager food, hand-me-down clothing, and no salary, while their husband and children worked three months out of the year as migrant laborer, for twenty to thirty pesetas per day, less than half a dollar in U.S. currency of that time. In Spain today, because of this progress under Franco, people are enjoying the greatest material prosperity the country has ever known; television sets and home appliances, electric refrigerators, washing machines and the like, far beyond the reach of the average Spanish family a few years ago, are now commonplace. The Spaniards themselves refer to this impressive turnabout as “the miracle.” But there is no miracle at all. While the government did much to prepare the ground for the recent expansion, the hard work and the sacrifice of the people themselves deserve even greater credit. This alone, however, would not have been enough to turn the tide. Without tourism (the country’s number one industry), without the large sums of money sent home by Spaniards working in other European countries, and without billions in foreign aid, the so-called miracle could never have happened. Under Franco, government and business cooperated to improve productivity. Foreign experts were called in to work with teams of Spaniards in industry, business, and education, and thousands of intelligent young Spaniards went abroad to pursue advanced studies in economics, sociology, science, and education. The net result of this produced a teamwork attitude and mentality hitherto unknown in Spain. Although it involves several sectors, tourism may be discussed as Spain’s major industry since it has long accounted for more than 10 percent of the national income and is probably the most important single influence on the country’s economic policy. Franco realized the crucial importance of tourism for Spain’s balance of payments and made every effort to encourage it. Tourism has also had an effect on the geographic distribution of the national income. Areas of traditional migration, such as the southern Mediterranean and Balearic Islands, absorbed some 400,000 workers from agriculture into jobs created by the industry between 1960 and 1975. The Canary Islands were practically “rediscovered” through tourism. Between 1960 and the end of the Franco regime in 1975 the number of foreign tourists entering Spain rose from 4 millions to 32 millions annually. They poured billions of dollars into the Spanish economy. In addition to foreign tourism, another positive aspect was that Spaniards with longer, paid vacations began to explore their own country. The number of paradores and albergues tripled within a few years. Madrid put up several new moderate and first-class hotels, and off-season tourism in the form of conventions made Spain Europe’s most popular convention center. Another form of exploitation that made great headway in the final Franco years was real estate speculation and irresponsible and unaesthetic planning, both Spanish and foreign. Ugly cement towers began to obscure the coastline because there were no building codes or somebody had bribed the local mayor in order to build a twenty-story apartment building. Madrid, hub of this new economic ongoing wheel, changed from a traditionally bureaucratic capital to an industrialized one. This also brought several transformations in city planning and building. The “building boom” was a phenomenon parallel to the commercial and tourist industries. Everywhere in Spain construction changed the appearance of the countryside, from the seashore of Alicante and Valencia, where everyone from Madrid who could afford it bought an apartment for use one month out of every year, to the high-rise, monotonous buildings with a few pots of geraniums on the roads to the Madrid airport. The demographic shift and change from agriculture to industry caused the concentration of population and capital in three main areas in Spain: Madrid, Barcelona, Bilbao. The Franco government channeled investment and foreign capital into several key areas such as auto-assembly plants, electronics, petrochemical complexes, steel, utilities, metallurgy, construction, air transport, and tourism. In agriculture, the country ranks in the top four in wine, oranges, olive oil, and cork. Spain is also in the first ten of the world in automobile export and high in the lesser industries of shoes manufacturing, textile and furniture. 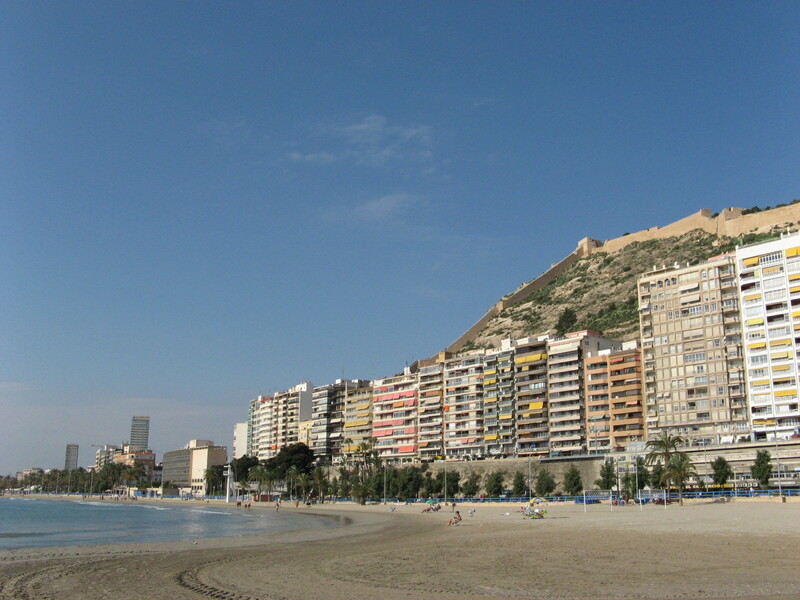 Tourism, returns from emigrants, and foreign investment built up Spain dollar reserves and helped the balance of payments. These three sources of income turned Spain’s trade deficit of $400 million into a surplus of nearly $1 billion. Economists advised that these reserves be put to use in creating new jobs, new industries, and eliminating unemployment, but this was not done. Spain has exported cheap labor to the highly industrialized countries of Europe, particularly, Germany, France, and Switzerland. Over one million were working abroad during the late Franco period; the number is much less now. However, the Franco government undeniably did a great deal for the worker, particularly in social legislation and higher salaries. Social security was extended to cover most areas of labor, in addition to old age, accident and health insurance, retirement, maternity and family benefits, free medical care and discounts on medicines–all of which brought Spain closer to a socialized state than anyone in the government (and many conservative Spanish citizens) would be willing to admit. Important social changes accompanied the industrial revolution, some of which began to break down the rigid class barriers. With the population shift from rural to urban areas the large proletariat became more aware of its potential, and the government made every effort to appease these workers in order to avoid a political confrontation. A large number of the old proletariat moved over into rapidly growing middle class. Like the proletariat, the middle class also moved up the economic ladder. It became more fluid with more capital and more investments. The liberal professional, intellectual, and artistic element of the Franco years tended to come from this sector, but they were still very much in the minority compared with the northern European countries. Spanish society remained traditional in its social patterns, although among the young people attitudes began to change in regard to women, marriage, themselves, family authority, dating. Spaniards eagerly adopted the outward manifestations of progress and sophistication such as fads in dress, music, hairstyles, albeit with a time lag, but they remained conservative in family relationships and religion no matter what their class status until after Franco’s death in 1975. In every major institution–politics, church, military, education, labor, society–there were signs of mobility, change, and splits in attitude. In many of these areas there was a generation gap between the dominating conservative caste of men over sixty who had fought in the civil war, and the younger, more liberal factions of postwar vintage, who now control the country. The situation of the average worker has improved by increased social security benefits for all classes, a higher minimum daily wage including farm workers, a plan for free education up to the age of fourteen, bonus payments, incentives, loans, and other advantages. But there were three problems: (1) Where was all the money coming from to support this move toward socialization? (2) The rise in salaries brought a corresponding rise in prices, making Spain’s inflation rate one of the highest in Europe; (3) This apparent prosperity of the average worker was not owing to a mere raise in the basic salary but won at the cost of moonlighting, overtime, and sacrifice within the family. Franco’s economic miracle solved some problems for Spain, but ignored many others, that were passed on to the government that followed him. They will not be an easy burden to bear, and it takes no genius to see that their resolution will require the patience of Job and the wisdom of Salomon. In addition to inflation, unemployment, and the rise of terrorism, outward and visible signs of weakening in Franco’s tightly “structured state,” there were serious basic flaws in the economy itself. All of these still remain. In summary, although Franco’s legacy to Spain was clearly a mixed bag, the “Order and Progress” that he achieved was a new experience in the nation’s life. Franco was only a flicker in history, but his success in providing an atmosphere of peace and material development pushed Spain in the mainstream of Western European civilization, putting an end to the quixotic dream of the 1931 republic and to the General’s own mania to restore the autocratic Spanish state of the sixteenth century. Was the price too high? A bloody and shameful civil war, three decades of repression, a blackout of the press, a loss of every dignity and freedom, an entire generation reared in intellectual stagnation, and a legacy of hatred that will endure for centuries. The Spanish philosopher, George Santayana, wisely commented: “Those who are ignorant of history are doomed to repeat it.” Now that Franco is gone only time will tell whether the Spaniards have learned that painful lesson.